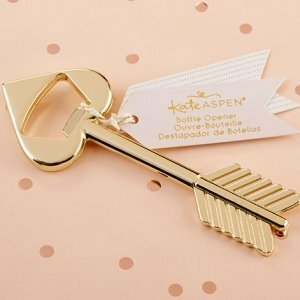 Kate Aspen Cupid's Arrow Gold Bottle Opener is made from sturdy gold-toned metal and can open any standard sized bottle! 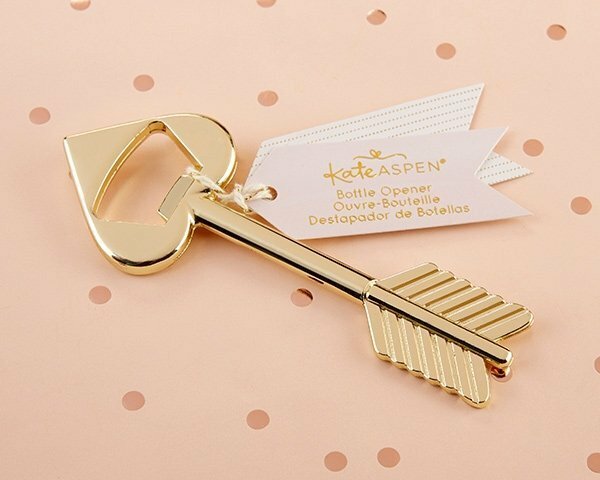 This gold bottle opener from the Modern Romance collection serves as the perfect addition to bridal party gifts and makes an elegant gift for bridal shower or bachelorette party games. The arrow-shaped bottle opener features a heart-shaped arrowhead where the opening mechanism rests. Shiny gold toned metal bottle opener with an arrow shape. The arrowhead on the bottle opener has a heart shape.